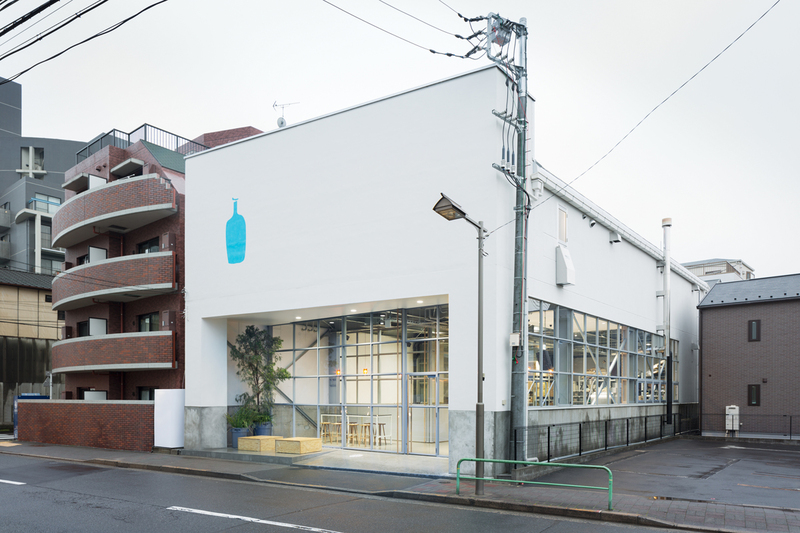 Blue Bottle Coffee (from Oakland, California) opened their first roastery/café in Japan, to operate as the production base of Blue Bottle Coffee Japan. 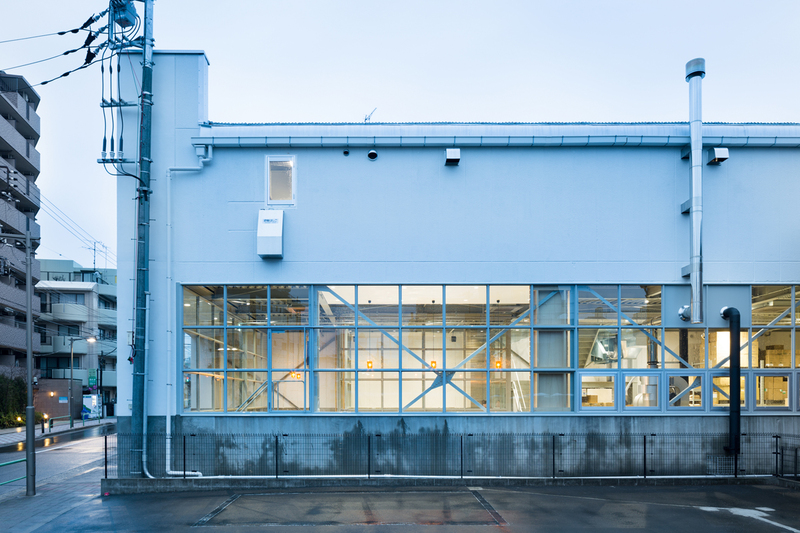 Schemata Architects was commissioned to renovate the former storage building at Kiyosumi-Shirakawa in Tokyo to accommodate roastery, cafe, office, barista training room and pastry factory. Blue Bottle Coffee is a leader of the third-wave coffee companies; they strive to achieve the best flavor and aroma, while promoting fair-trade and improving the labor environment of coffee farms, to construct a balanced production circle and to develop a positive relationship in which baristas and consumers raise awareness and grow up together. We respect and support their stance by making the building open to outside and creating a continuous space where everyone can establish and be involved in the balanced relationship to stay aware of each other’s action and to collaborate for better results. 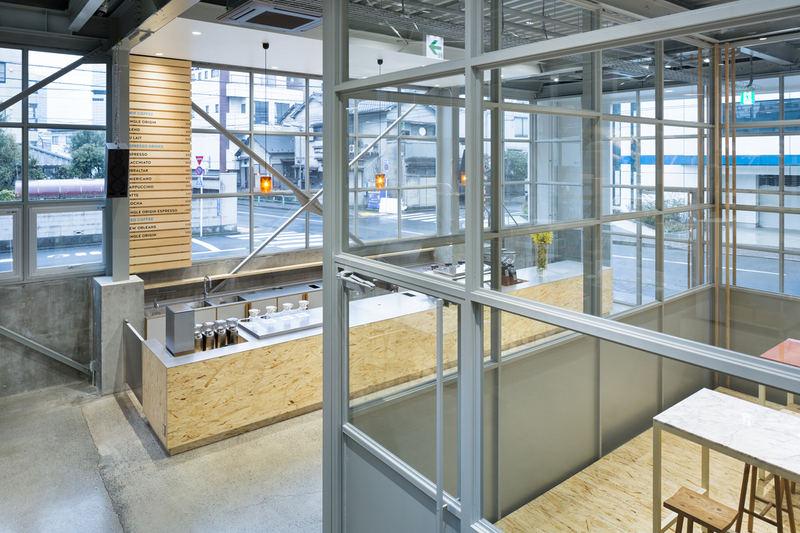 In order to maintain such relationship across spatial boundaries, we install very large-sized glass doors and screens on each floor to maintain transparency between neighboring spaces, inside and outside, and lower and upper floors. 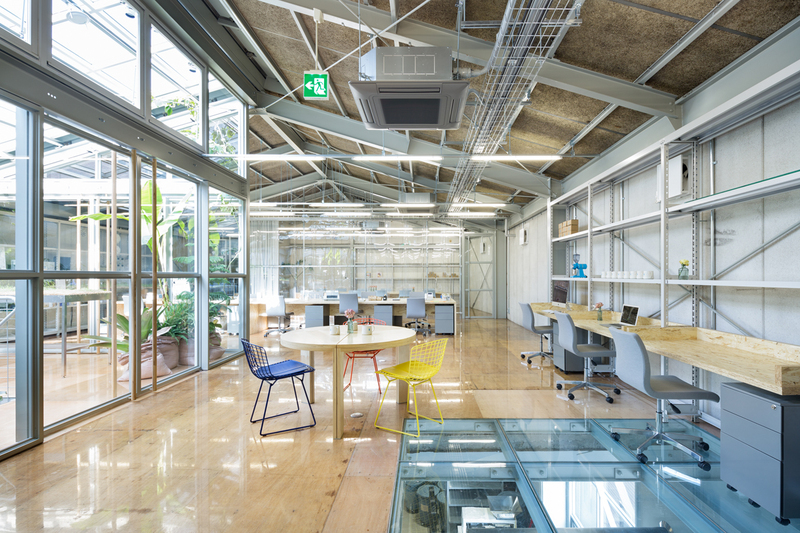 The former storage building had no windows, so we made a large skylight in the center to distribute natural light throughout the space on the second floor. 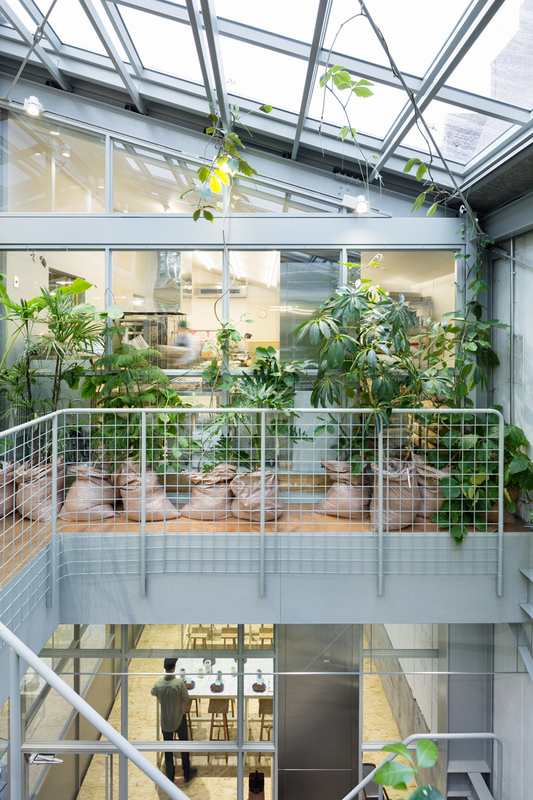 The skylight is located right above the void space connecting the first and second floors, where the indoor greenery on the upper level reflects abundant natural light and delivers the exotic forest-like light and shade to the lower level. 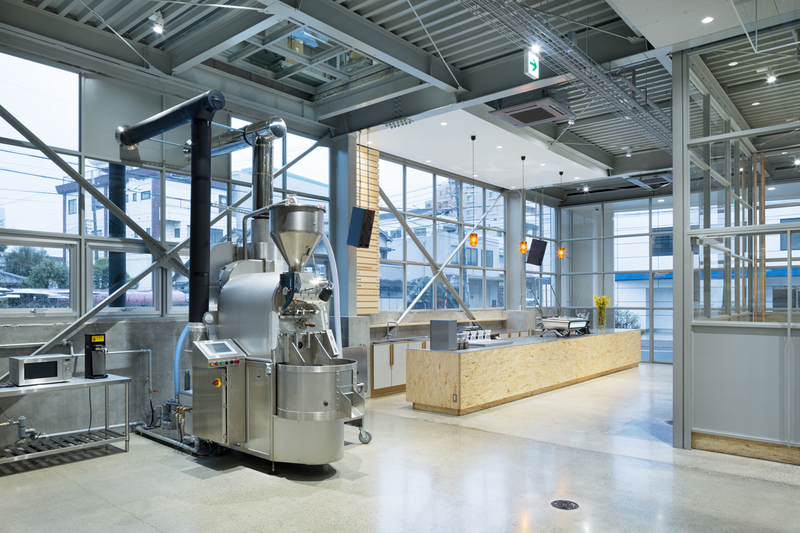 Customers can enjoy not only the unique cafe experience, but they can also see and feel the lively production process in the roastery. 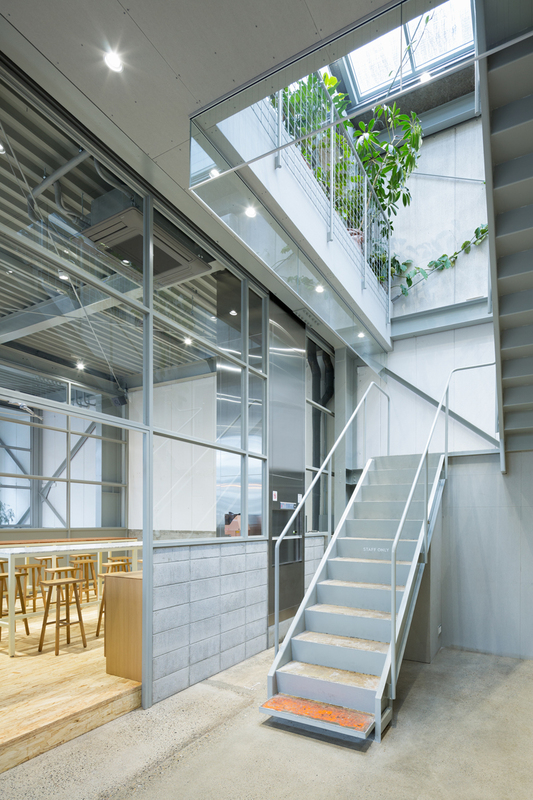 They can enjoy coffee in a cafe space, while looking up to the second floor through the void space with exotic greenery and light, and might become curious to see the space upstairs. 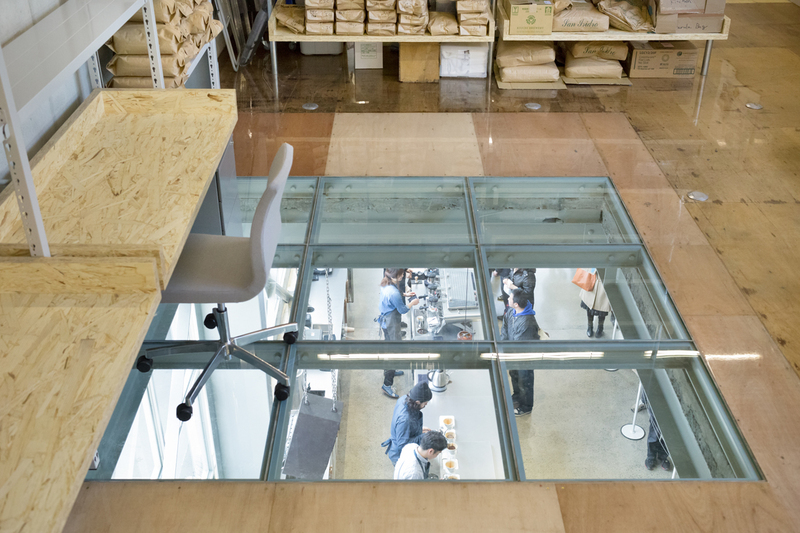 In addition, glass is partially inserted on the second floor right above the main roasting machine, the heart of the roastery, to visually connect the lower and upper floors. 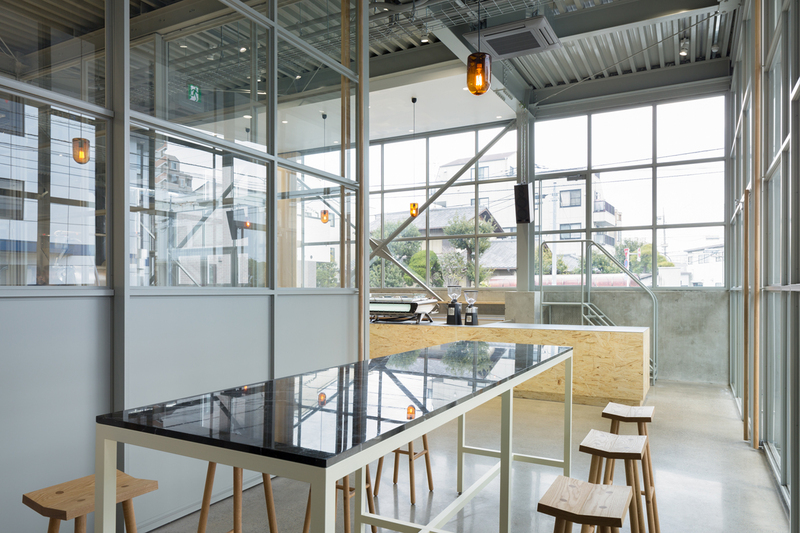 Through the opening, the staff upstairs can observe customers enjoying their coffee, which gives them further motivation, and they can also constantly monitor the production downstairs and immediately respond to any arising issues. These visual connections generate a positive relationship uniting everyone present, including the staff and customers.